Hey, >we got a cat! She’s a 4-year-old tuxedo cat with a periscope tail name Mae! And thanks to how apprehensive Lily’s been about coddling her, Mae Mae is super-into her. Cats, y’know? This is absolutely amazing. I’m posting it on /r/MarioMaker, it perfectly represents these levels. 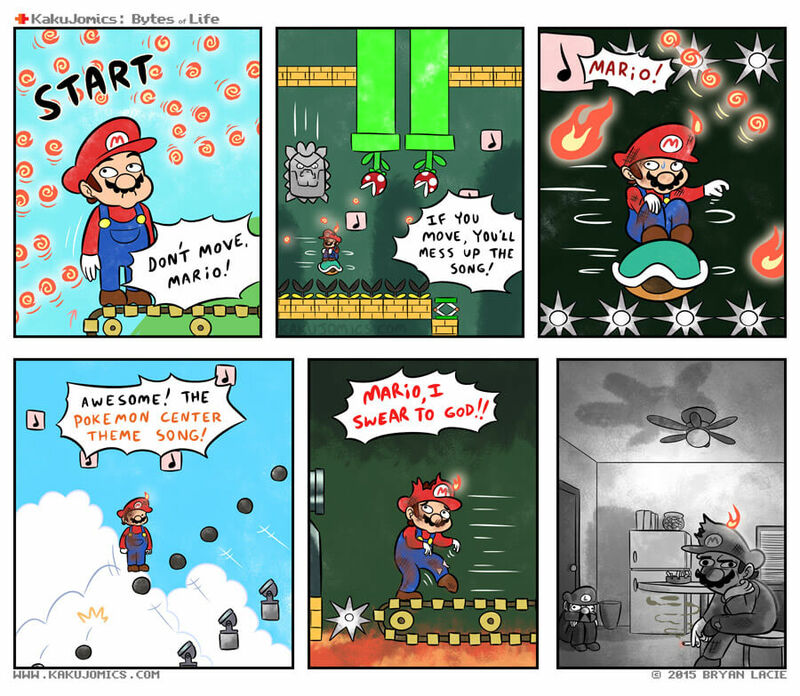 Mario needs to re think his life choices I reckon. Without having a slight pang of guilt. Oh yeah, have you ever considered playing Terraria? It’s an AMAZING game. Also good comic material, as Legend of Maxx has proven true.